Tonight we finished up an important management chore for our pastures. 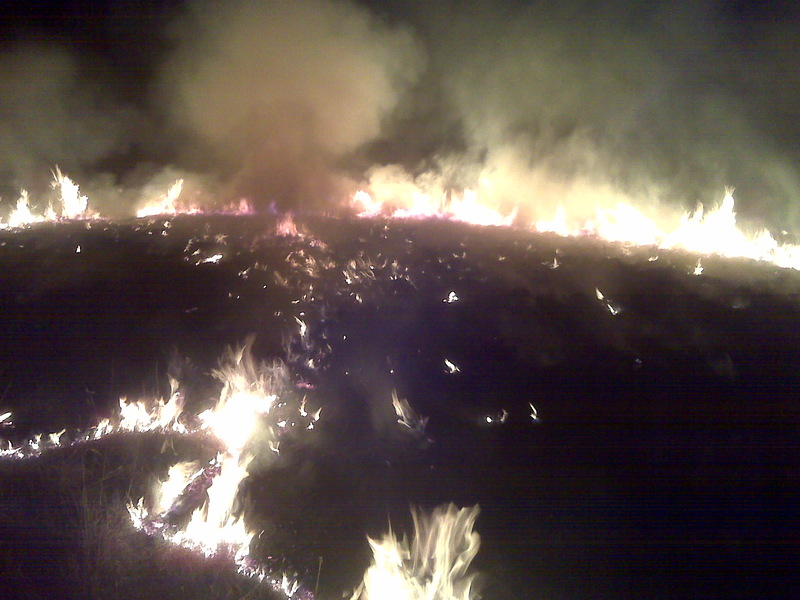 In the Kansas Flint Hills, the best way to maintain the health of the prairie ecosystem is to burn off the old dead grass, kill the invading scrub brush and cedar trees and restore the prairie to its roots--literally and figuratively! 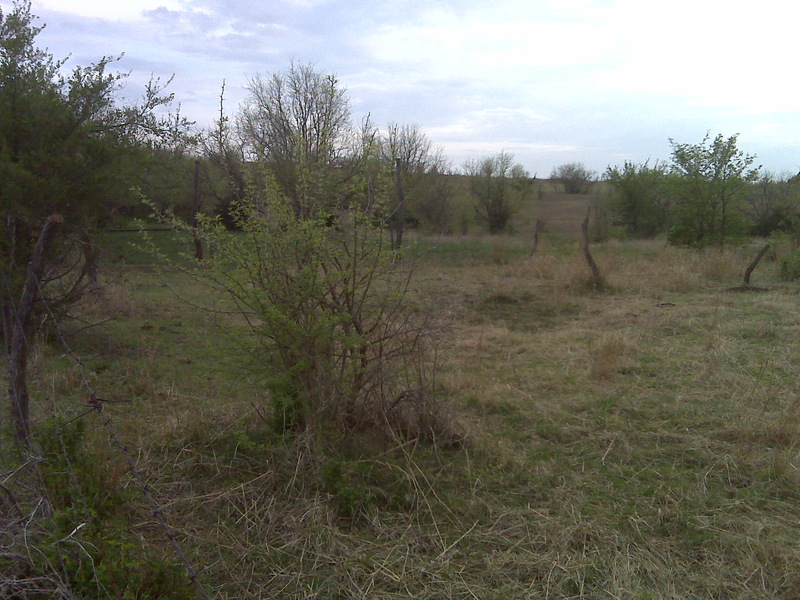 The natural state of the prairie is grass, but if grass overgrazed, eroded or otherwise poorly managed, it will begin to grow woody shrubs and eventually cedar trees that will choke out the native grass and ruin the diversity of the prairie. 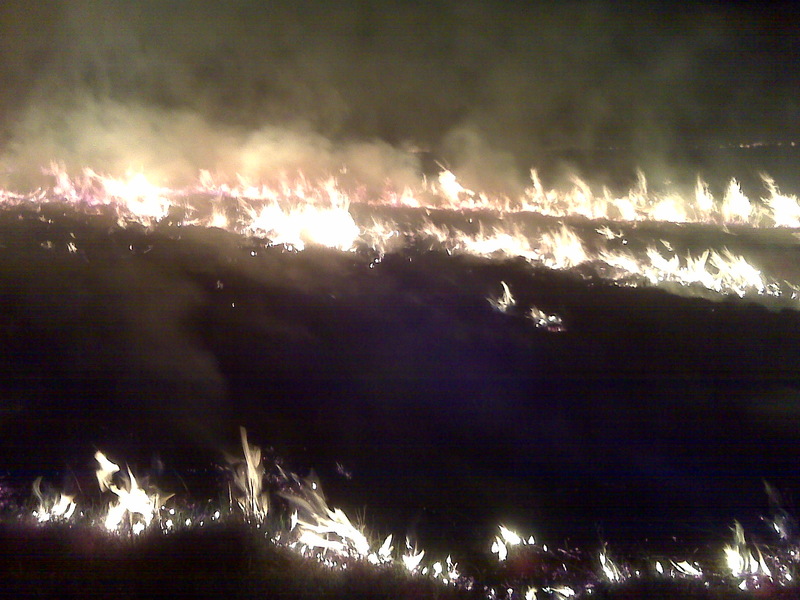 This year, on our ranch, we burned nearly 2,500 acres. I thought I'd just share a few photos tonight. At left is a pasture that has been overgrazed and not burned--locust and sumac shrubs have grown large and cedar trees are beginning to invade. The grass is short and is beginning to be crowded out. 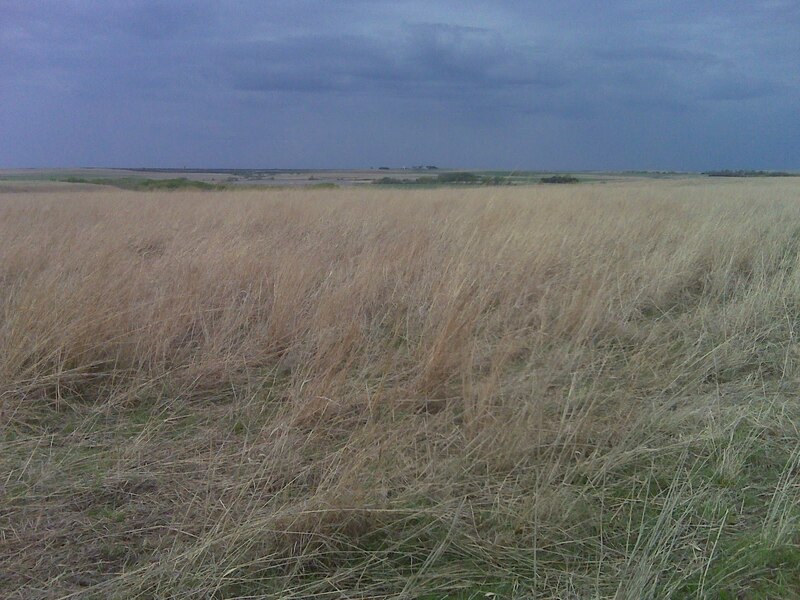 Diversity is lost and if left alone, the prairie will be destroyed in this pasture. At right is a properly maintained pasture. Cows are rotated throughout the season to encourage even grazing distribution and the grass is burned every spring to kill invading shrubs. 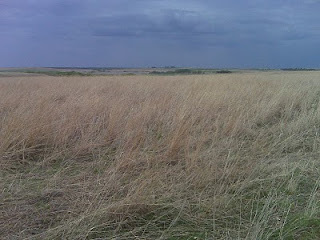 An ecosystem of grasses and forbs, as well as a variety of wildlife will live in this grassland. Flames lick at the dried grass while the tall green grass controls the spread of the fire. In the background, the headfire burns with the wind. Rocks are the reason the Tallgrass Prairie in the Kansas Flint Hills is still here today. This grass is the same that was here centuries ago--that the buffalo grazed, the Indians hunted in and cowboys fattened their steers of long ago. The rocks so close to the surface kept the ground from being torn up to farm. 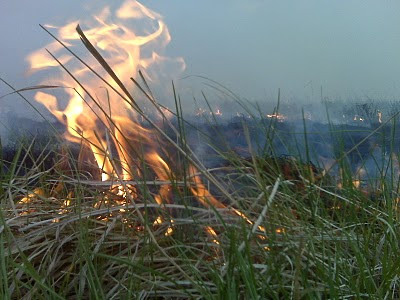 As the sun sets behind me, the fire converges in front of me. Light wind, dry night: perfect burning conditions! Hi! just found your blog tonight and really enjoyed it. I came through on I-70 on the 17th and the fires had the night lit up! I love your Flint Hills. We live in Salina but grew up in Southeastern Kansas...my favorite part of going back to visit is the drive through the flint hills. I come from a ranch family. I understand why you love what you do!